Is there an easy way to mass download SRTM data? The data is published for download here, but it's sliced into thousands of small files, and I don't see an FTP option for more efficient downloading... Another issue is that the server seems to die (or run out of bandwidth) when I use a download manager like the "DownThemAll" Firefox extension to get them. Is there a better resource for getting this data? You could curl the files with a little bit of text editor work. I think there are throttling and retry options (check the above-mentioned man page). In addition to Jay's excellent pointers, I would recommend using the --timestamping flag when downloading so you can only get files that are newer than on your file system (really useful when your downloading gets interrupted). 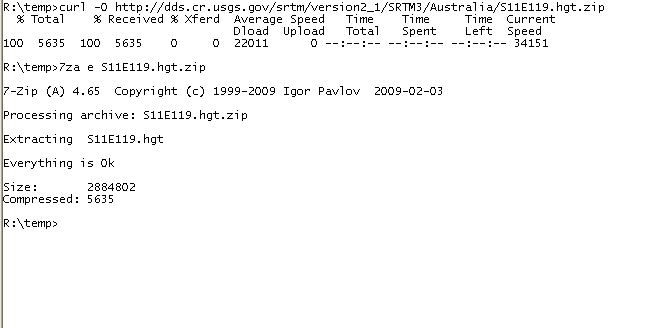 Additionally, using the --no-parent flag means that only the SRTM3 directory is downloaded rather than it continuing up the tree to the other directories. 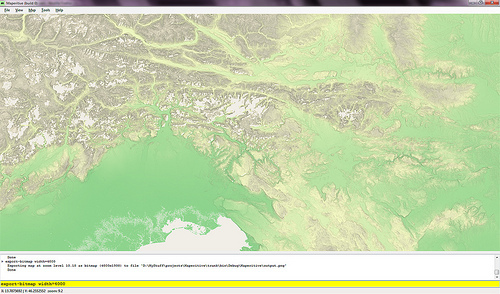 You can download and clip a portion of the SRTM 30m DEM with one command with the elevation Python command line tool. You can use Maperitive to download SRTM tiles automatically and unzip them. Just zoom in/out to the area of your interest and it will download all the required tiles to your disk. And best of all, it's free. Globalmapper is an extremely easy way to download data like this. They even have a built-in option. You can then clip, project, and export into a variety of formats. I realize this is a pay for option, but it is a really valuable tool to have IMHO. Not the answer you're looking for? Browse other questions tagged data download srtm or ask your own question. Distributing processed SRTM data legally? National Map downloading wrong coordinates? Downloading bathymetric data for free? Working with SRTM DEM that has rectangular cells?